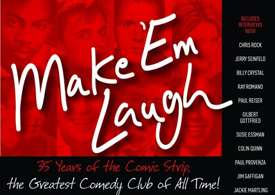 When I found out that Tony Rock was going to be headlining at Gotham Comedy Club I knew it was one show I wasn’t going to miss. 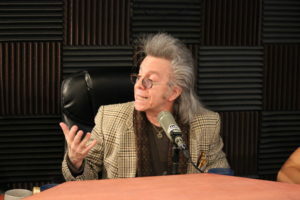 Tony is not only hysterically funny, but he’s a great guy who deserves all the accolades he’s currently receiving. 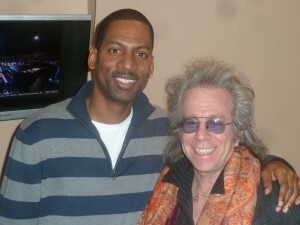 Jeffrey Gurian of Comedy Matters TV backstage at Gotham with Tony Rock! 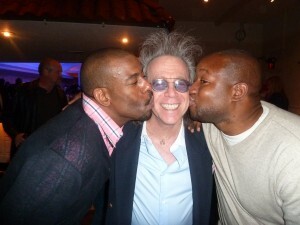 Jeffrey Gurian of Comedy Matters TV getting some love from Chuck Nice(L) and Sherrod Small! Classic!!!! 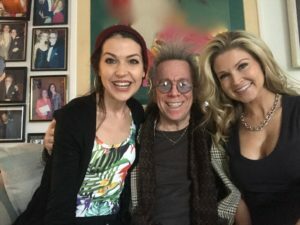 Last year he was the featured guest on a huge show I co-produced as a benefit for Haiti starring comedy superstar Kevin Hart, with Wil Slvince as the MC. It was a sold out 3000 seat event, and Tony killed it! 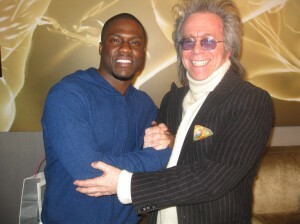 Jeffrey Gurian of Comedy Matters TV with Kevin Hart at a promo for their show at Westbury Theatre! 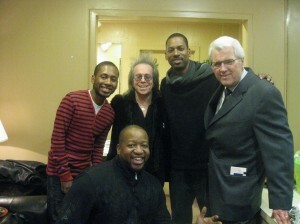 (L-R) Jordan Rock, Jeffrey Gurian, Tony Rock, Richie Tienken and Sherrod Small doing his best Gary Coleman impression in front! In the exclusive video interview below, Tony tells me how it came to be that he’s the new host of Jamie Foxx’s updated “Live At The Apollo”. That’s gonna be AMAZING, and you will definitely find me hanging out on 125th Street when that goes down! 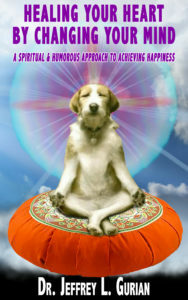 So this night at Gotham, Buddy Fitzpatrick was the always reliable host. He’s just really funny and a crowd pleaser! Next up was Jordan Rock, the baby of the family who I’ve seen really come along in the last couple of years. 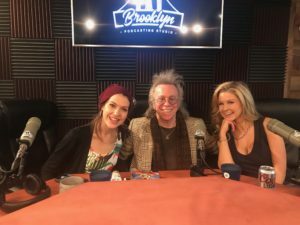 It was his 4th anniversary of performing stand-up, and Jordan and I alternate as late night hosts at The Comic Strip on 81st and 2nd, the club where his brother Chris, … who they call Chrissy, … got his start back in 1986. Jordan had a regular spot and he did really well. It’s so cool to see him hanging out with his brother. It must be really exciting for Tony to see Jordan moving up in the ranks. 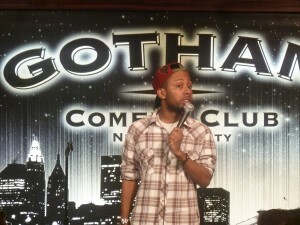 Jordan Rock, next in line after Chris and Tony, doing major damage onstage at Gotham! The very funny Corey Kahaney was next and had some good advice for the crowd. She said if you’re divorced you should never badmouth your ex to the kids. Cause then you ruin the day when they find out for themselves! 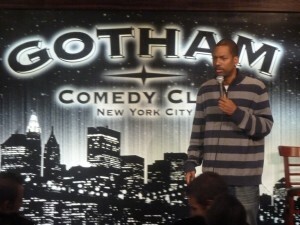 Tony Rock holding it down onstage at Gotham Comedy Club in NYC! And then he does a take on why Black women should not work in Customer Service, and he imitates the “angry Black woman” who he hopes he never gets when he calls for assistance! 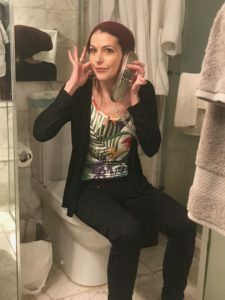 It literally brings the crowd to it’s knees, cause unfortunately, we’ve all had to deal with that woman! Check out the video below! 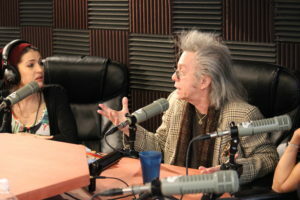 Tony, … good luck with Showtime at The Apollo! Can’t wait to be there!